I’m sick. Feel like crap. So instead of a “proper” blog post, you guys get pics. Here are the socks I just finished today. They’re the Marlene pattern by Cookie A, found in the Fall/Winter 2008 issue of Knit.1. 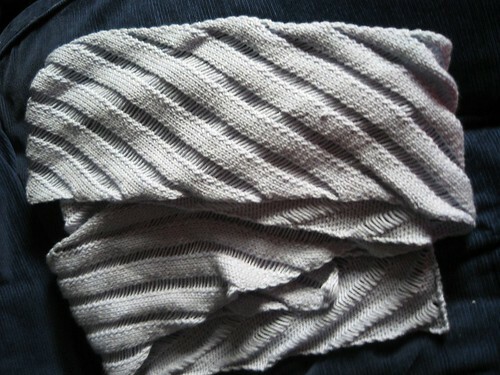 And here’s the Clapotis I knit for myself. It’s to replace the one I lost. This is what I worked on while I was in Finland for a week. Love, love, love those socks!